Database Exporter for Microsoft Outlook enables you to export the contents of an Outlook folder to an external database. 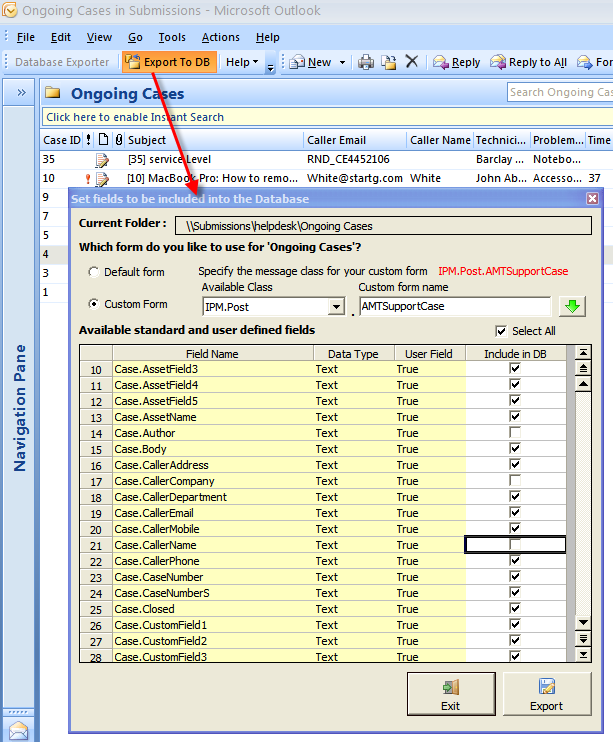 Supports export of built-in and user defined fields from mails, appointments, tasks or contacts items. Database Exporter for Microsoft Outlook enables you to export the contents of an Outlook folder to an external database. It is especially designed to overcome the inability of the Outlook's built-in 'Import and Export Wizard' to handle data in custom forms, by allowing you to export any kind of data, including custom fields, to a database, in a simple click. You can selectively specify which fields to include in the export, and the appropriate data type will be inherited in the database. Supports export of mails, appointments, tasks or contacts. It can operate on any Outlook form, field types and support any Outlook folder, whether a private folder or an Exchange Public Folder. System Requirements: Microsoft Outlook 2003/2007.